Please feel free to call or email with questions about your needs, 952-303-4550. Physical Therapists are movement experts who identify, diagnose, and treat movement dysfunction. Physical therapy is recommended by the Centers for Disease and Control Prevention (CDC) as a safe alternative to opioid intervention to treat long-term pain. Physical therapy has been proven to be as effective as surgery for some conditions including meniscal tears and knee osteoarthritis, rotator cuff tears, spinal stenosis, and degenerative disc disease. Dry Needling is a general term for a therapeutic treatment procedure that involves multiple advances of a filament needle into the muscle in the area of the body, which produces pain and typically contains a ‘Trigger Point’. There is no injectable solution and the needle that is used is very thin. Typically, positive results are apparent within 2-4 treatment sessions but can vary depending on the cause and duration of the symptoms, and overall health of the patient. Dry needling is an effective treatment for acute and chronic pain, rehabilitation from injury, and even pain and injury prevention, with very few side effects. Research has found that the incidence of repetitive motion injuries and ACL tears are on the rise. 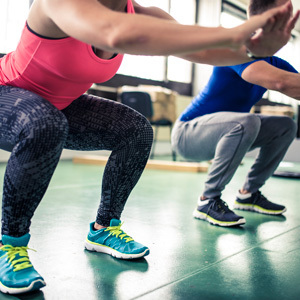 At AGADA Physical Therapy and Integrative Health Center, we provide postural, strength, and functional movement assessments to assist in determining an athletes risk of injury. AGADA Physical Therapy & Integrative Health Center offers 1:1 fitness visits as a cash-based extension of the rehab process or as a preventative plan of care to optimize health and wellness. Swen is a licensed physical therapist and received her personal training certification through the National Academy of Sports Medicine in 2006.